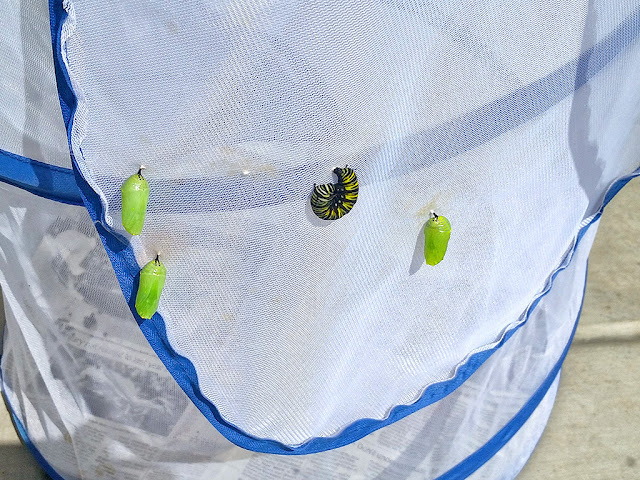 There are now 12 chrysalides dwelling safely in their eclosing cage, with more to come. All are safe from pesky tachinid flies, and so far none exhibit the telltale dark spots of Oe infestation. How incredibly beautiful Monarch butterfly chrysalides are! Truly, they are one of nature's crown jewels. In fact, I've seen craftsmen and artisans create pieces of jewelry based on them, such as earrings and pendants. One beautiful pendant I came across was of a perfectly executed copy made of jade-colored glass on which they dabbed gold dots to mimic the gold spots found on real Monarch butterfly chrysalides, hanging from a delicate gold chain. Three chrysalides hanging from eclosing cage, along with one cat beginning to pupate. Thursday morning I noticed one of the chrysalides began to darken and take on an orangish color. By Thursday noon there was a fully eclosed adult with wings still soft and not fully expanded. She's a healthy little girl I released in the late afternoon by the milkweed plants after her wings hardened sufficiently for her to safely fly away. She wanted nothing of the cage, taking off like a cat with a burr stuck under its tail. It's a girl! 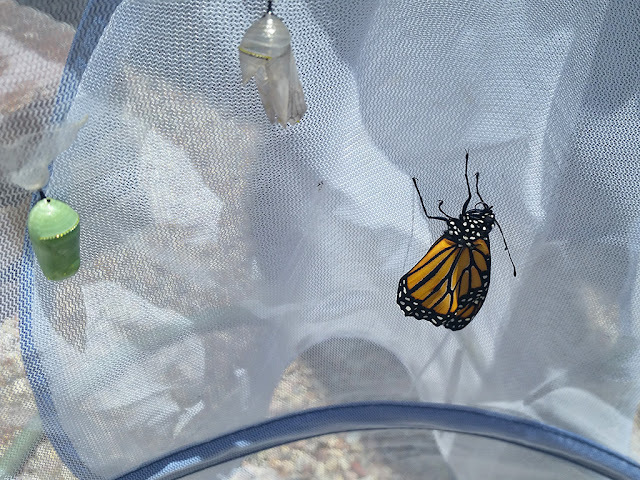 First reared Monarch butterfly for the Container Garden. 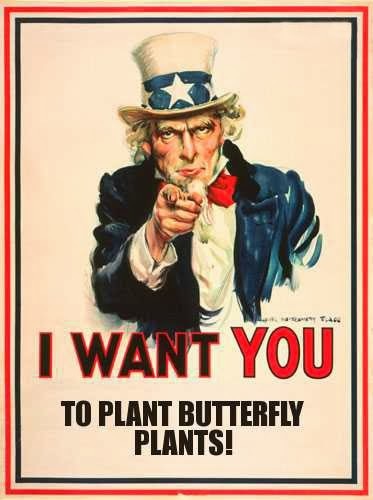 I've been a bit busy down here at the homestead of late, therefor a dearth of posts vs. a plethora. This will most likely continue for the next month or more, as I'm in the process of writing and illustrating a personalized story book for my little granddaughter, plus I've yet to begin collaborating with a newsletter subscriber on her children's storybook about the adventures of a Monarch caterpillar. She asked me to take photos illustrating the story for inclusion in her book. By all means!